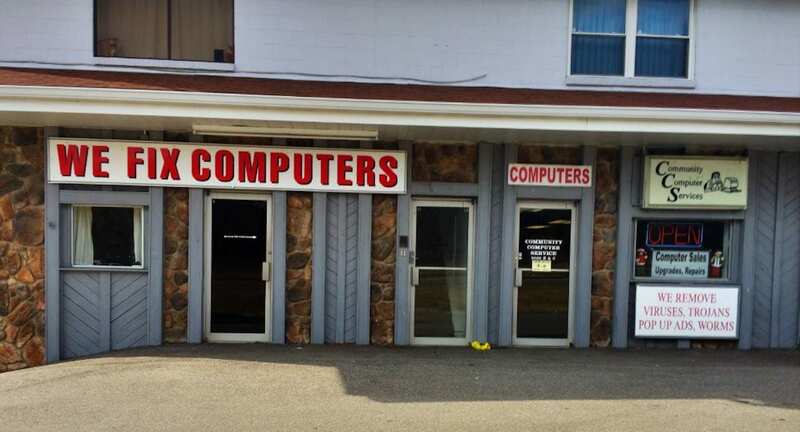 Community Computer offers computer repair, sales, upgrades, web design and more in Highland Heights, Cold Spring, Alexandria, Ft. Thomas, Wilder, Southgate in Northern Kentucky. We have been in business since 1993. We are a father and son local small business. We treat our customers the way we would want to be treated. Call or stop in today! Looking for Computer Repair, Sales, and Upgrades in Highland Heights Kentucky? Community Computer Services offers computer repair in Highland Heights Kentucky We provide that personal touch that seems to be missing these days with most computer-support services. We work with all types of computer brands, including Dell, HP, Compaq, Sony VAIO, Gateway, E-Machine, Acer, Fujitsu, Toshiba and more. We work for many clients with many different needs, and we understand the urgency to have your system up and running. Community Computer Services works hard to fix your PC’s problem, solve your need in a timely fashion, and get it right the first time. We have been building and repairing desktops and laptops for 25 years in Highland Heights Kentucky. We’ve probably seen and repaired the same computer problem that you are having hundreds of times before. Plus, with our large inventory of spare computer parts, we’re likely to get you up and running without waiting for a computer part order to arrive. If you stacked all the computers we’ve repaired, it would reach partway to the moon. We have offering Computer Repair in Highland Heights for over 20 years now. We’ve probably seen and repaired the same computer problem that you are having hundreds of times before. Plus, with our large inventory of spare computer parts, we’re likely to get you up and running without waiting for a computer part order to arrive. If you stacked all the computers we’ve repaired, it would reach partway to the moon.